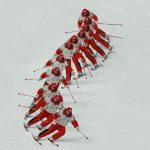 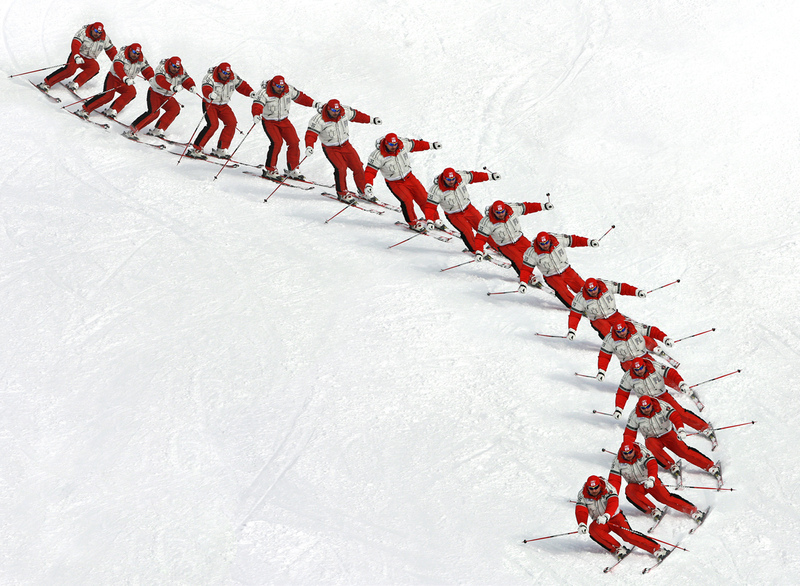 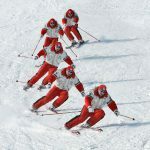 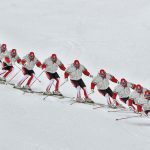 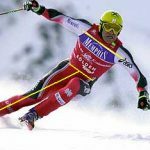 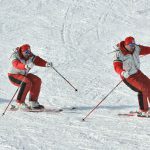 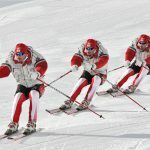 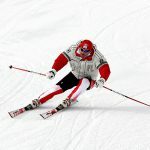 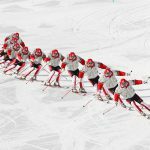 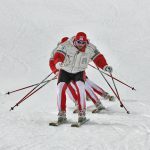 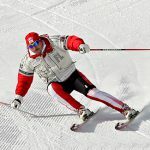 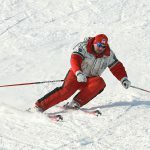 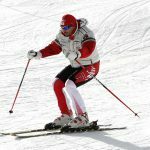 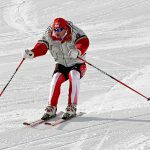 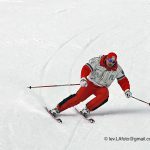 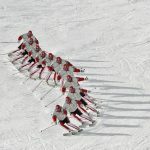 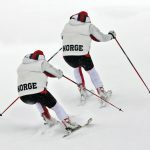 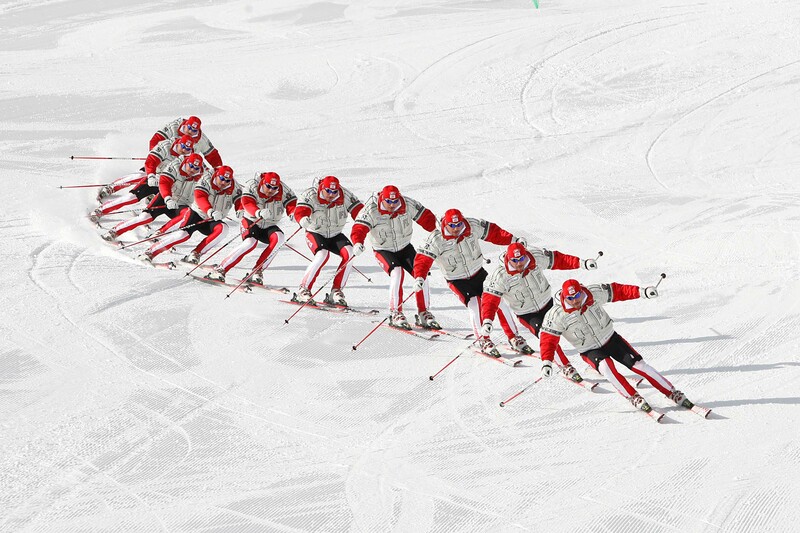 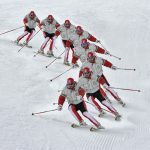 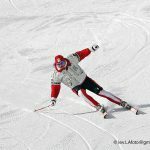 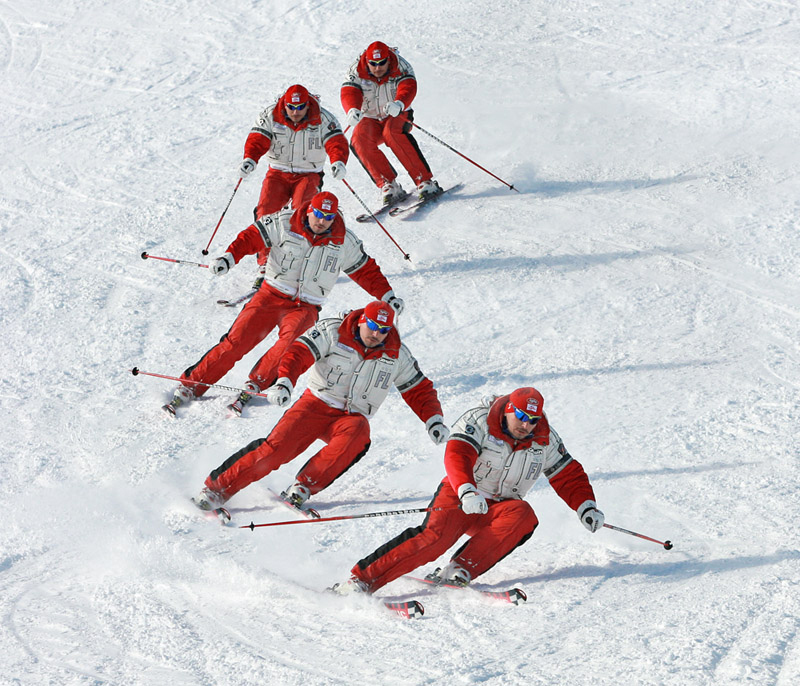 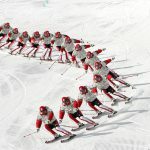 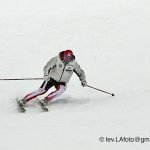 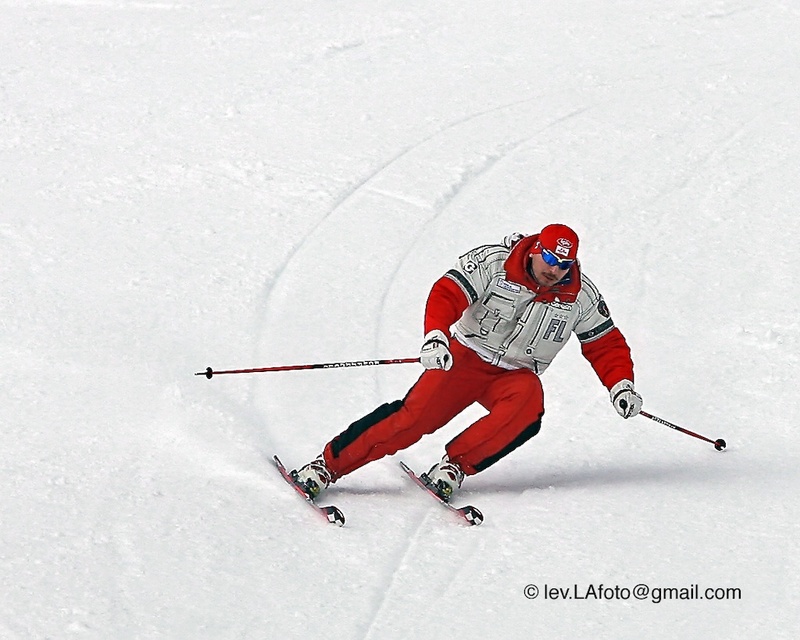 While working with racers and conducting coaching seminars, I often perform demonstrations of turns and drills in free skiing mode (i.e., outside the gates). 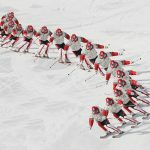 I believe that demonstrations done in this manner can be more comprehensible in terms of distinguishing particular elements of technique even better than watching high level racers in the gates. 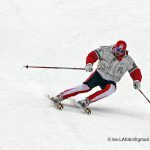 That is why I have decided to share some of these photos and photo sequences with the visitors to the “Coach’s Corner.” I hope that a relatively clear demonstration of some technical elements described in the articles on this site can be found in some of these pictures. 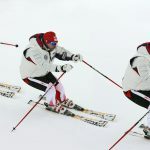 Please note that these are just demonstrations with emphasis on particular technical elements such as projection, re-centering, inclination, pole touch, etc. 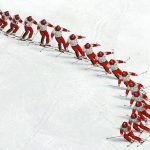 In some of the pictures, I demonstrate drills and in others just turns. 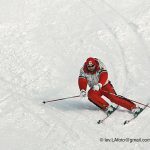 Detailed explanations for some of the pictures will be made in future articles. 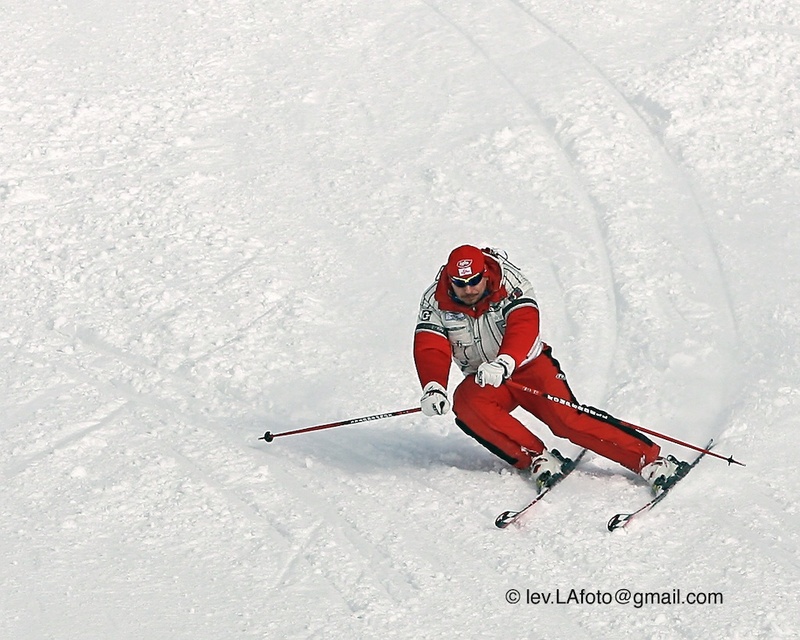 However, some of the photo sequences speak for themselves. 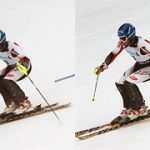 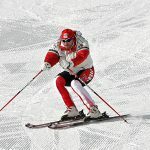 I do not think for a second that these photos of me can replace the photo sequences of World Cup racers used in the articles on this site. 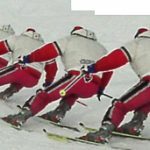 However, I hope that this gallery can supplement them and display some technical elements in a simpler and more understandable form. 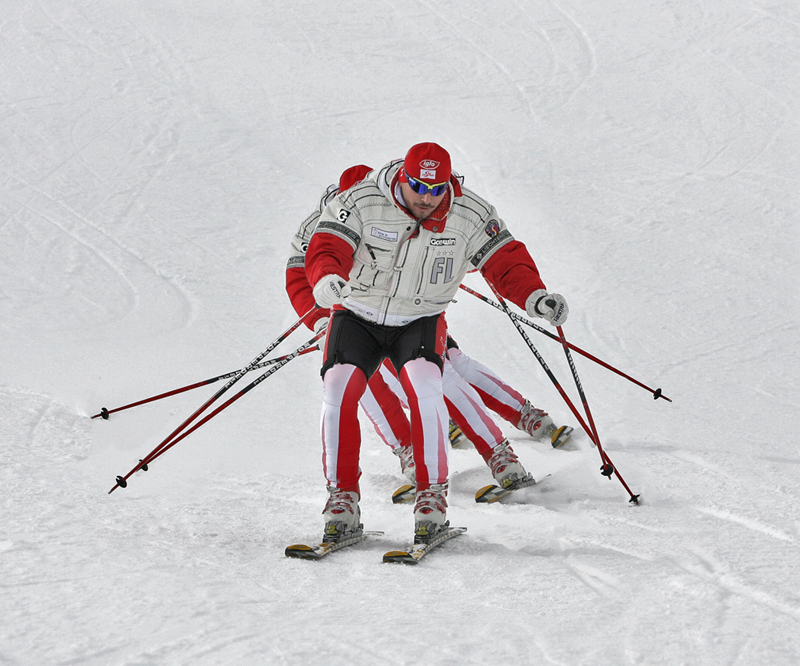 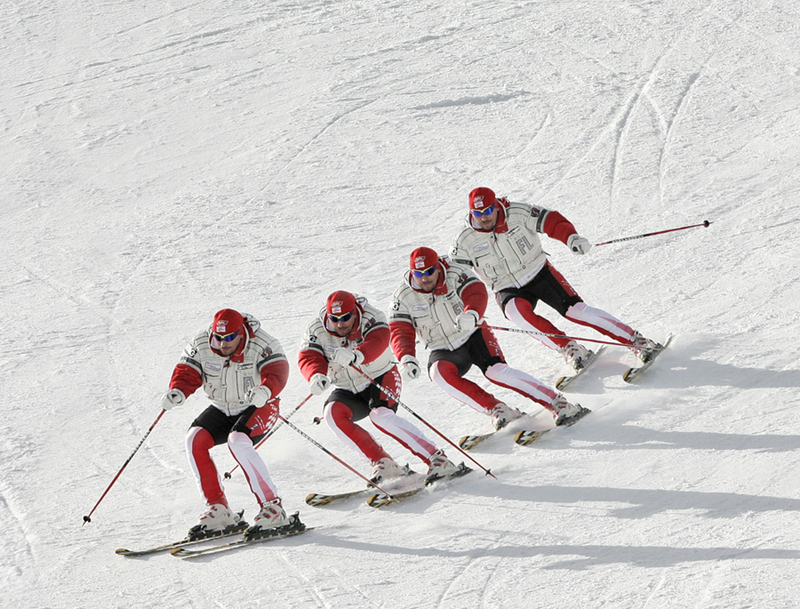 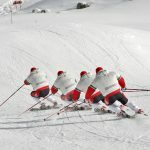 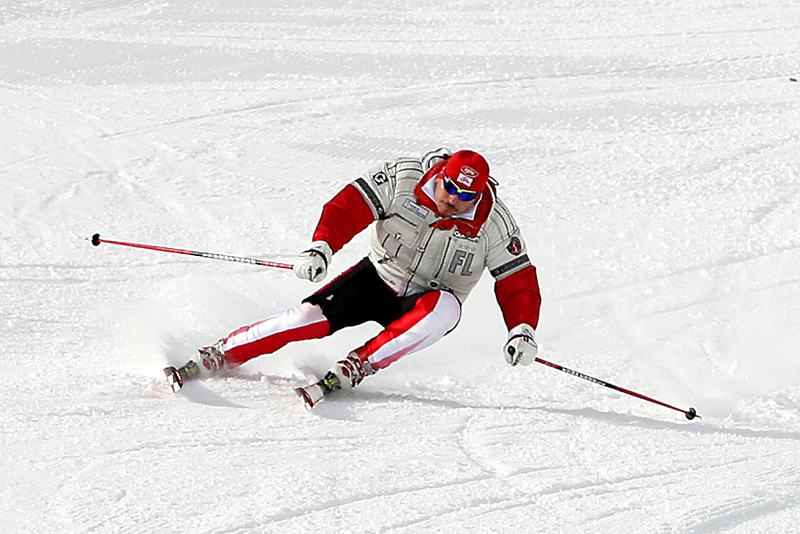 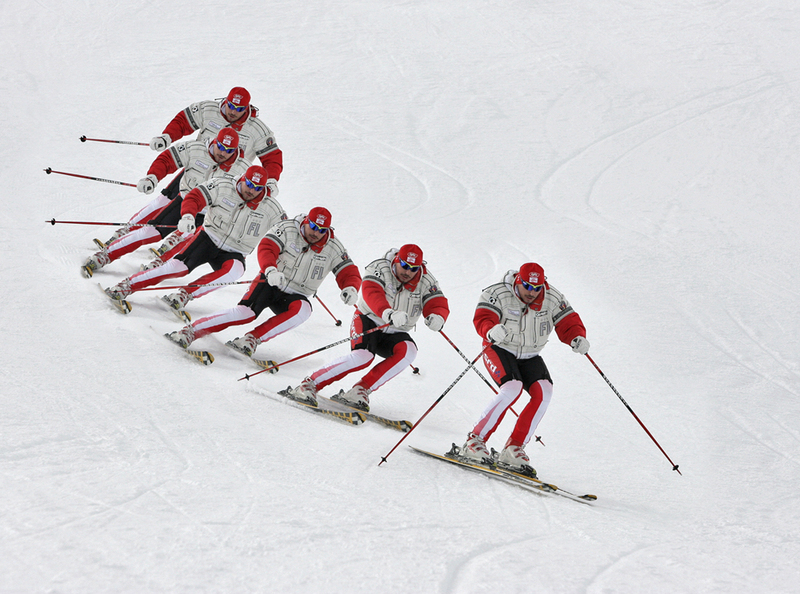 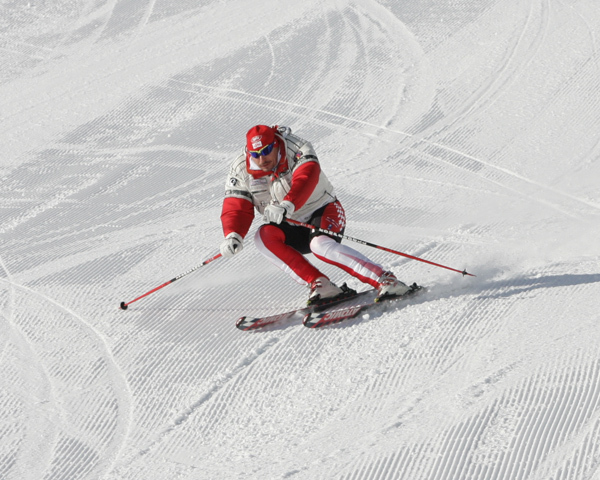 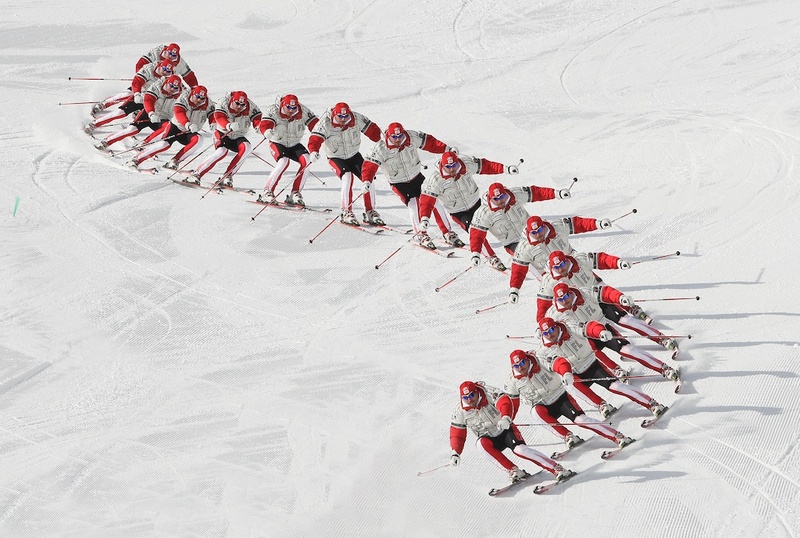 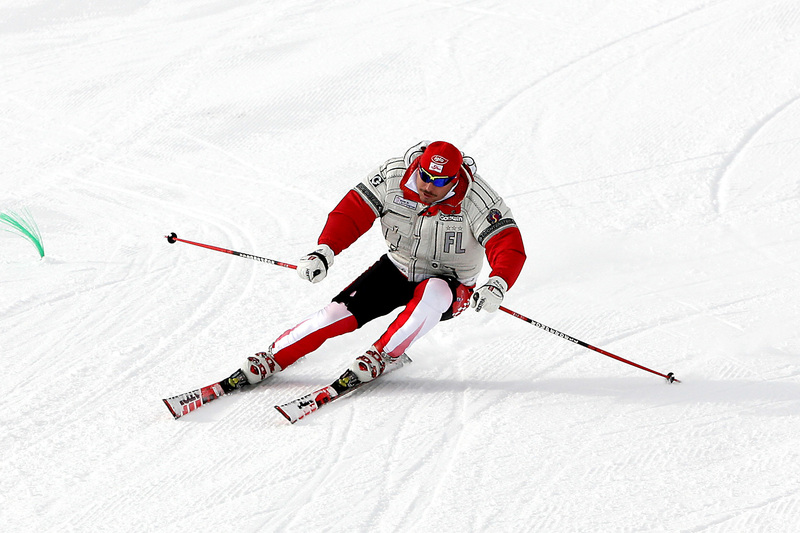 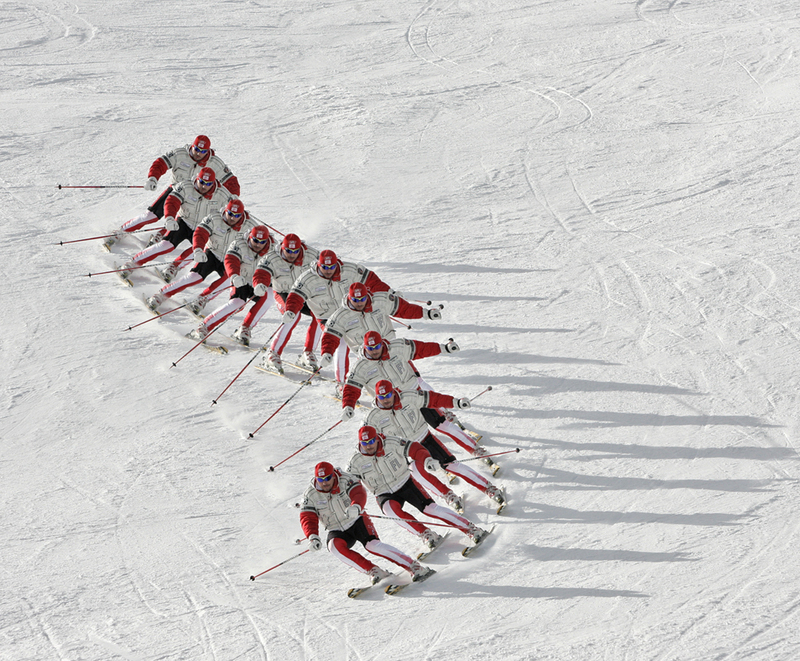 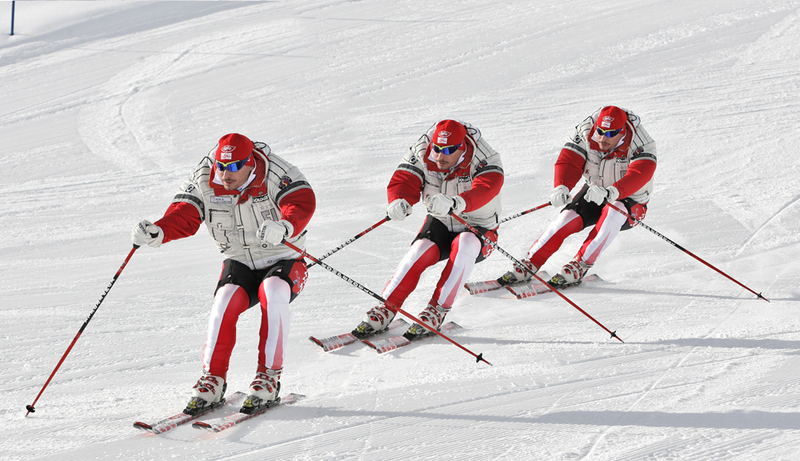 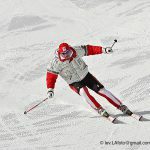 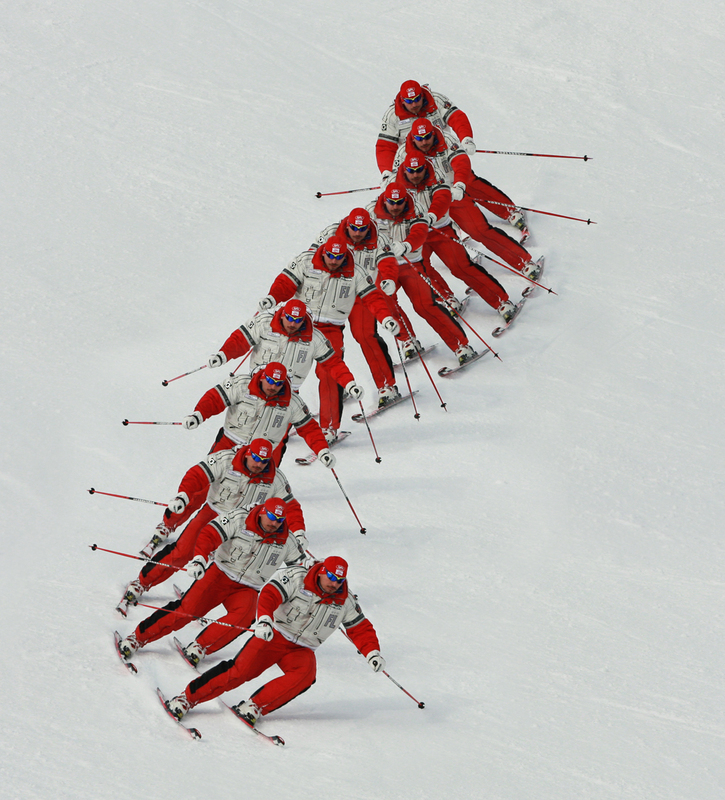 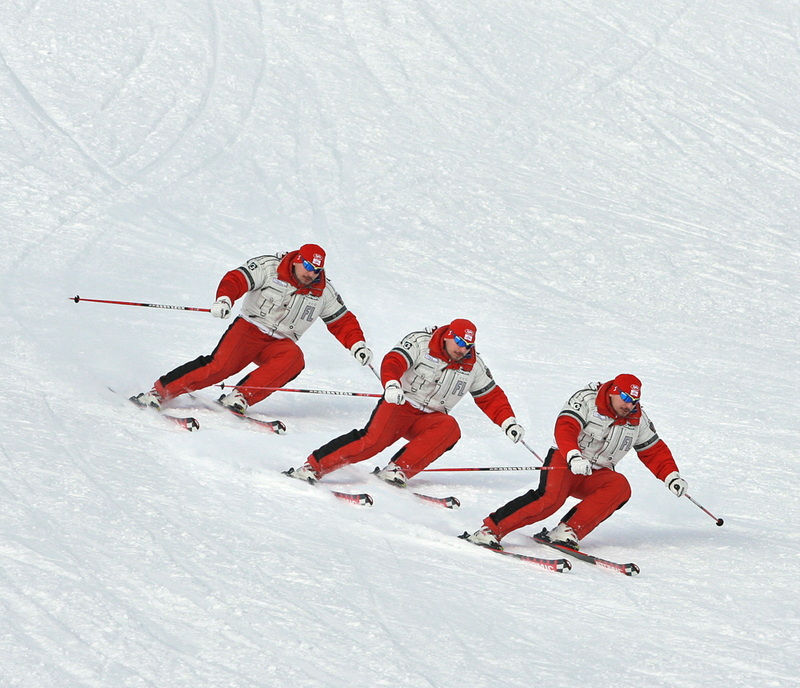 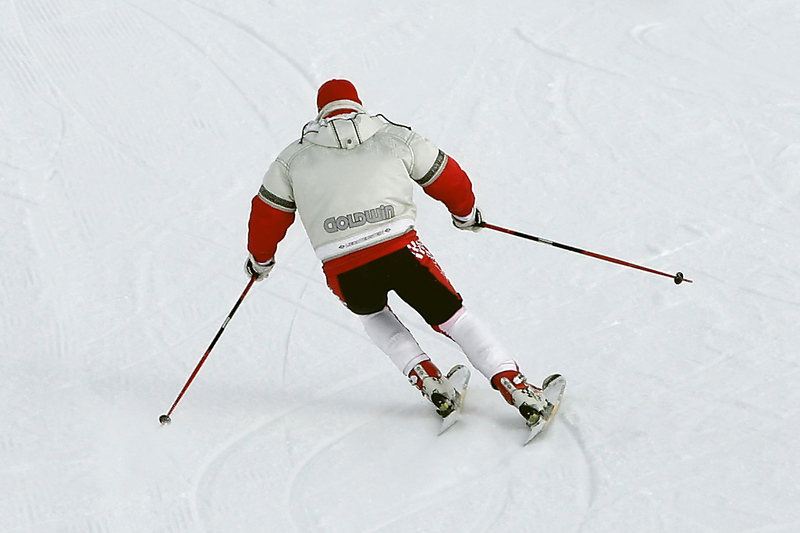 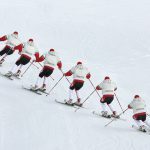 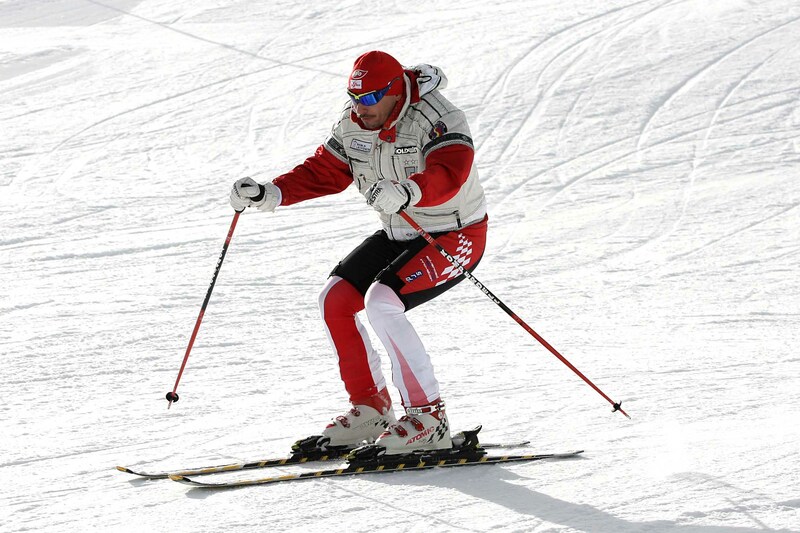 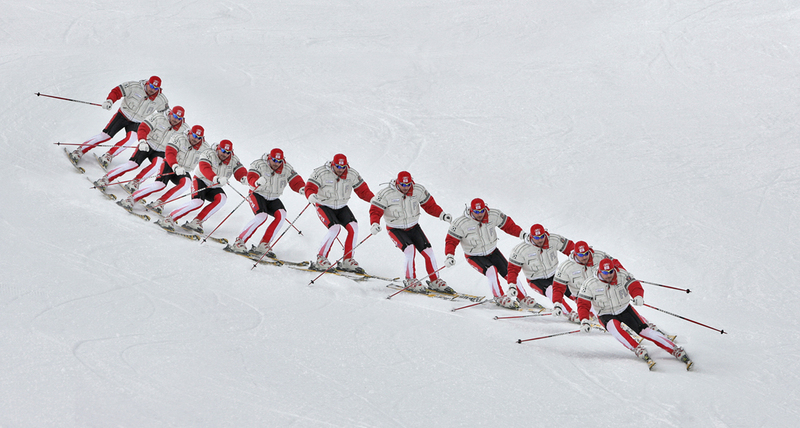 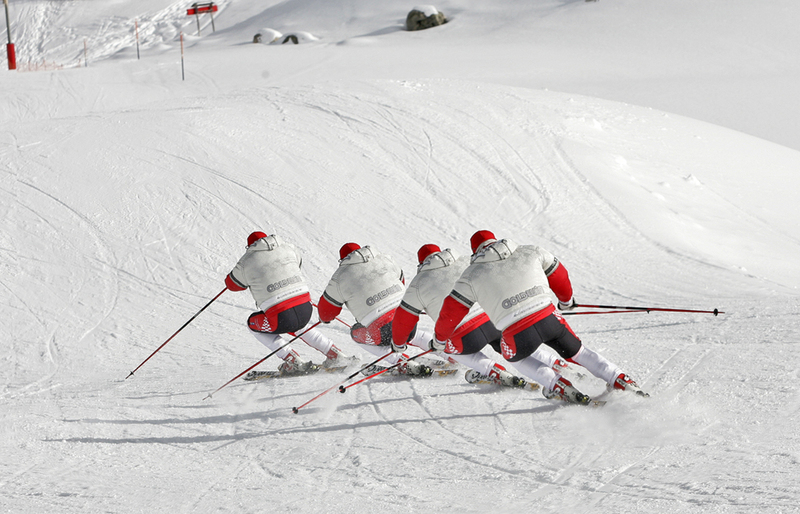 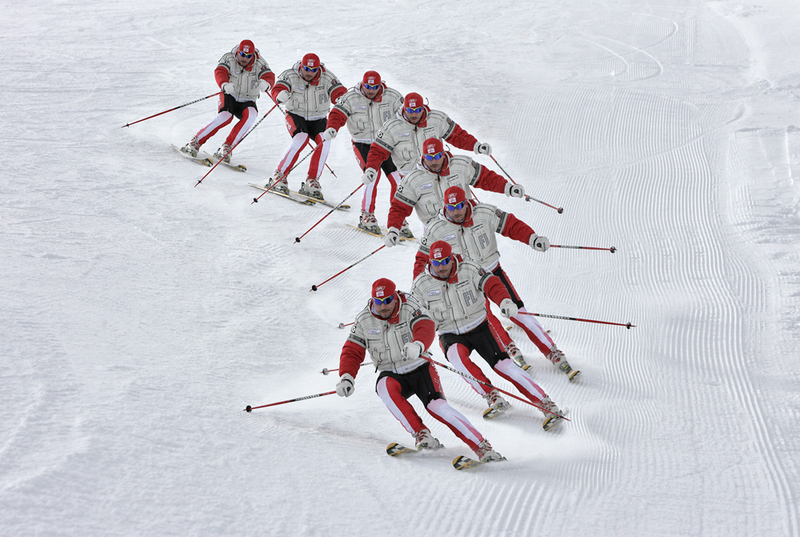 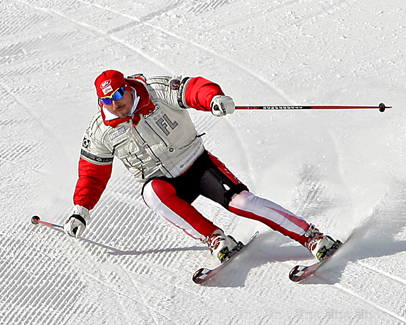 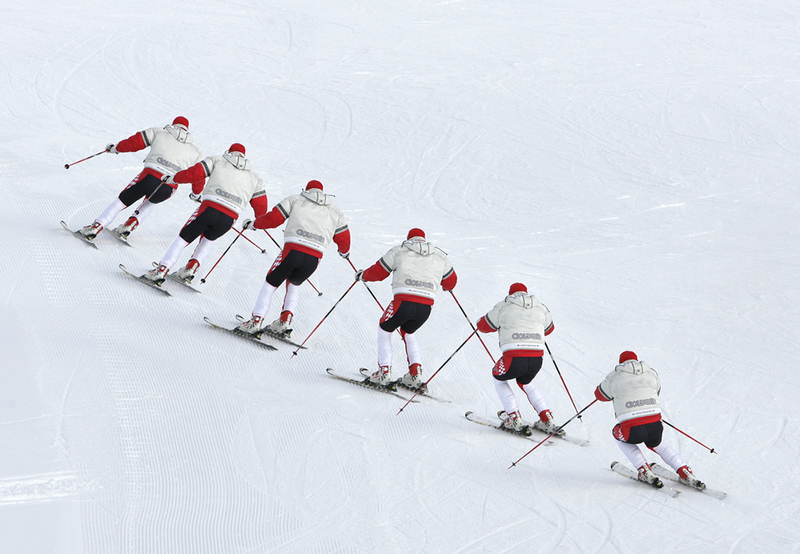 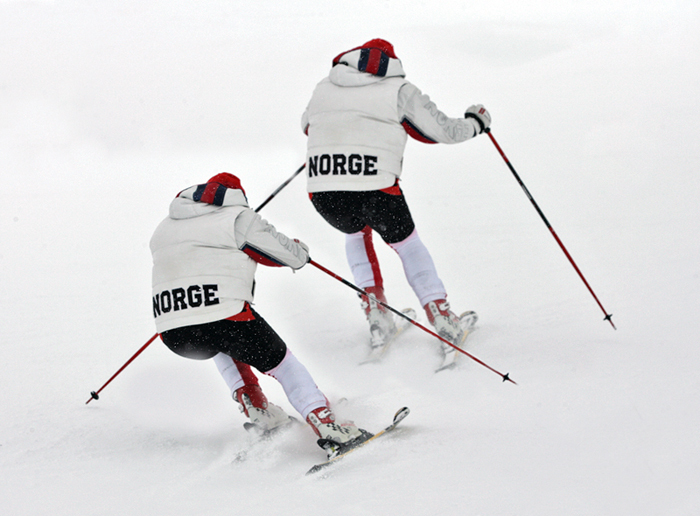 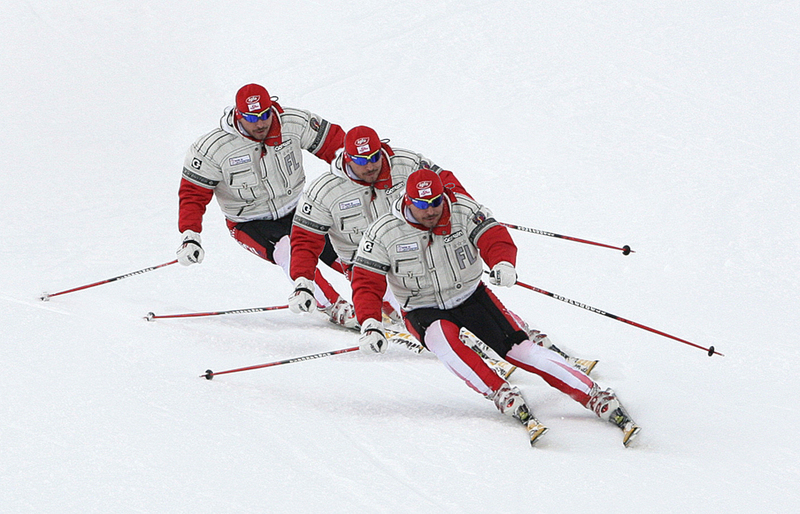 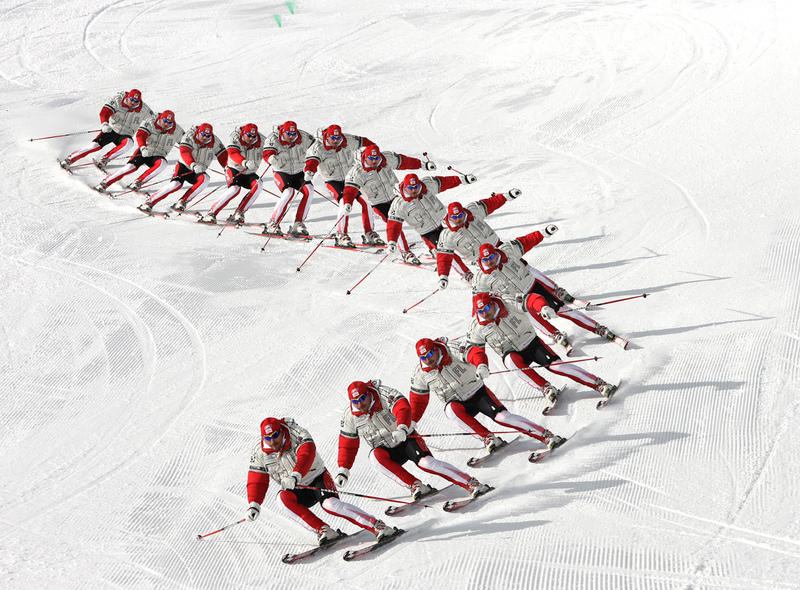 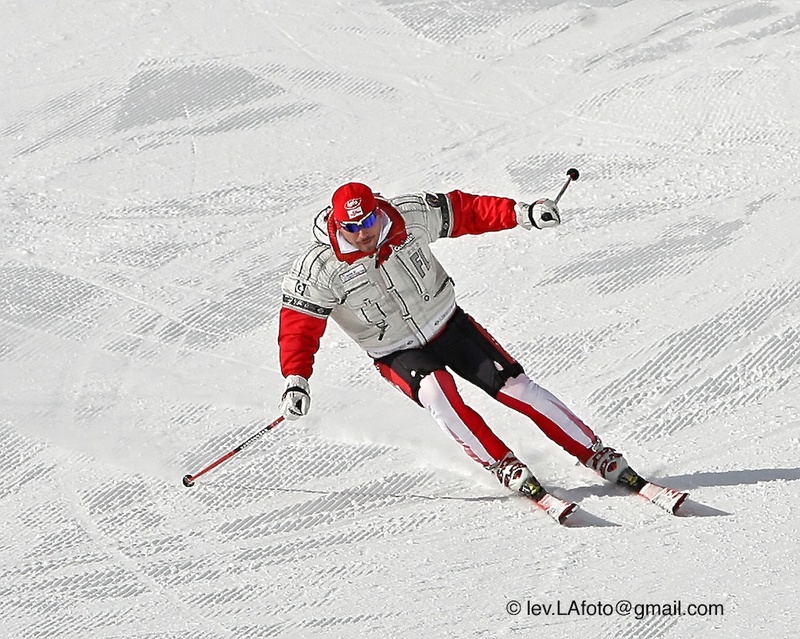 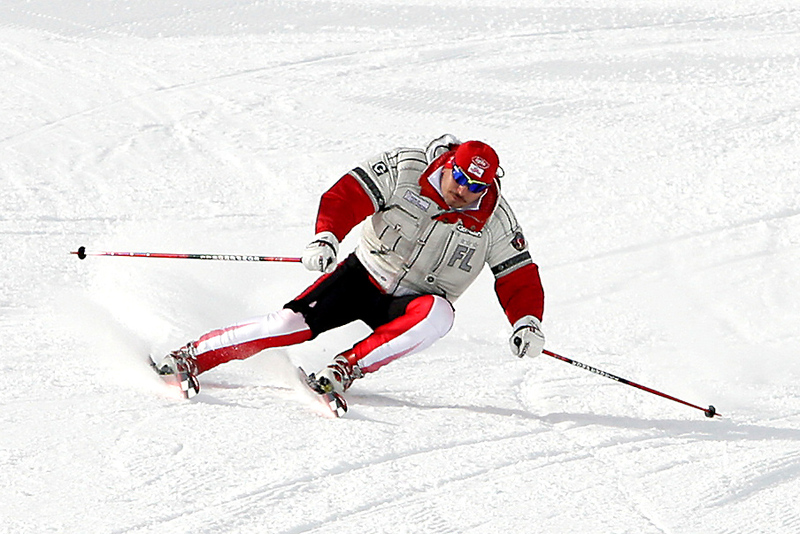 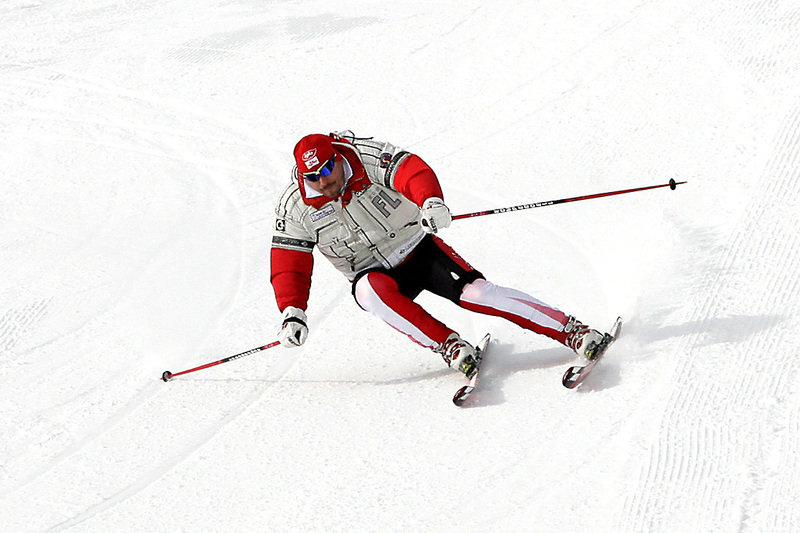 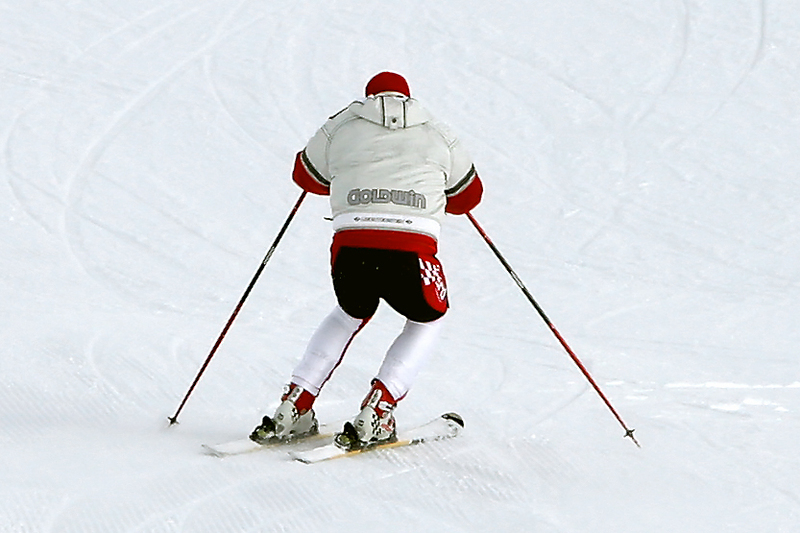 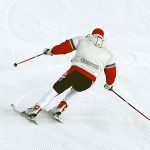 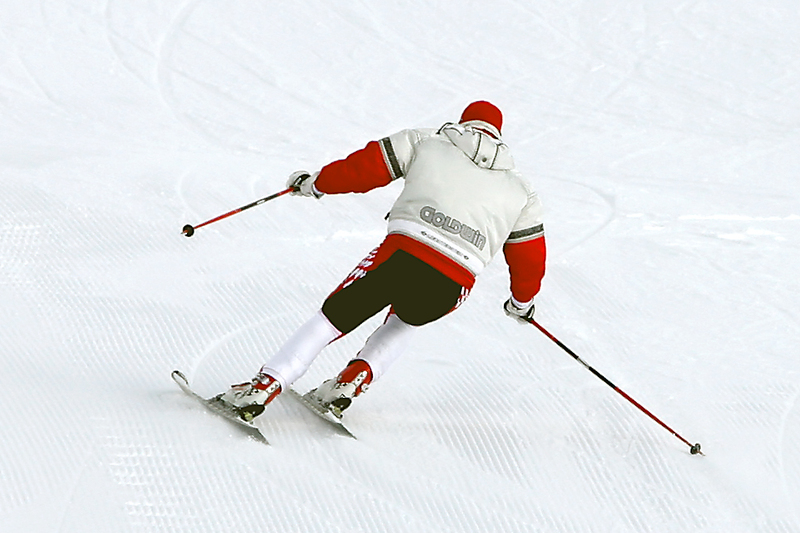 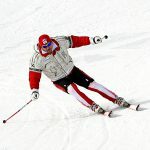 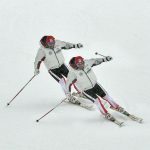 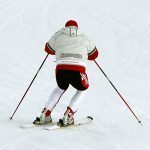 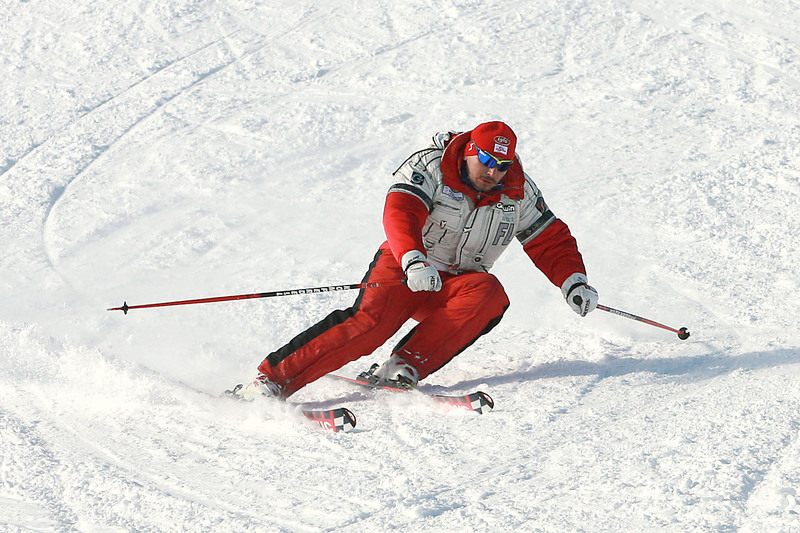 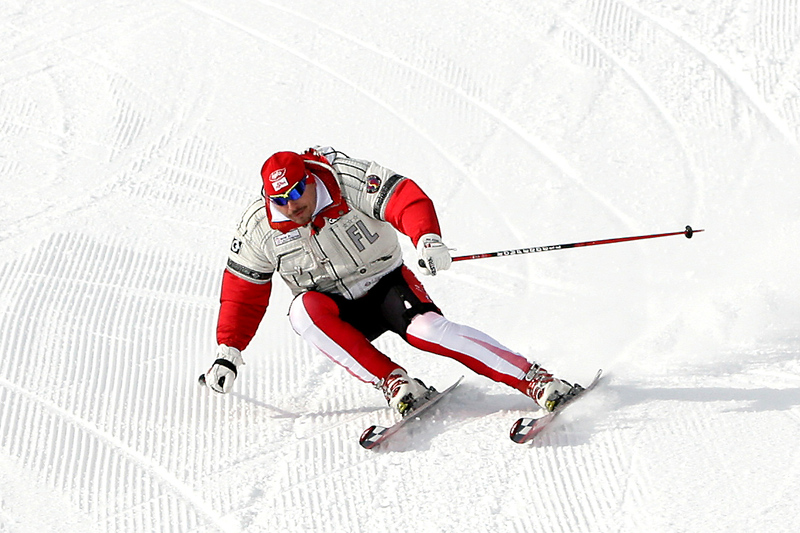 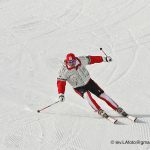 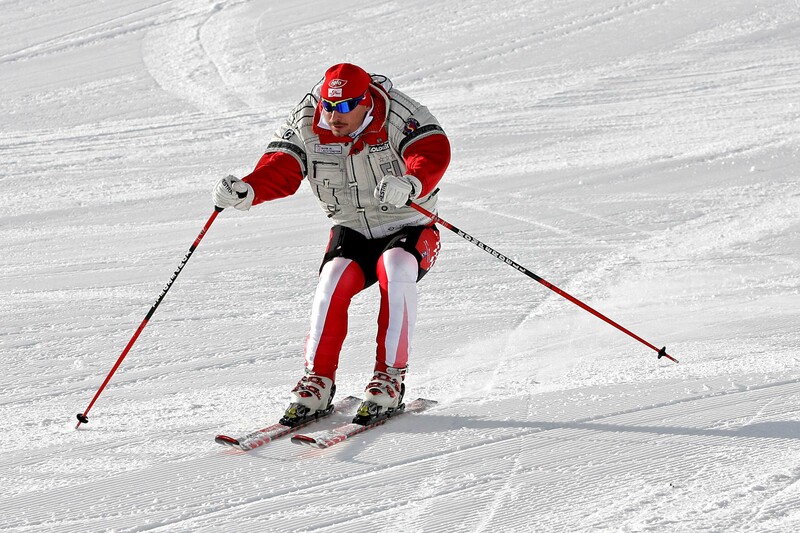 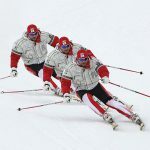 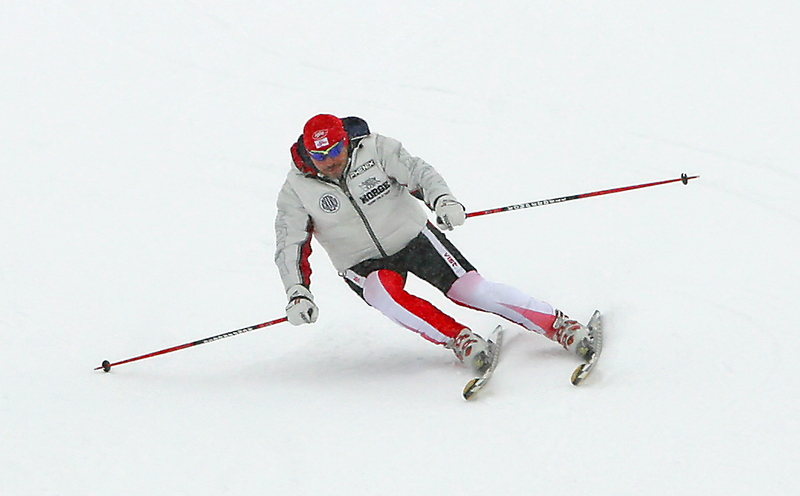 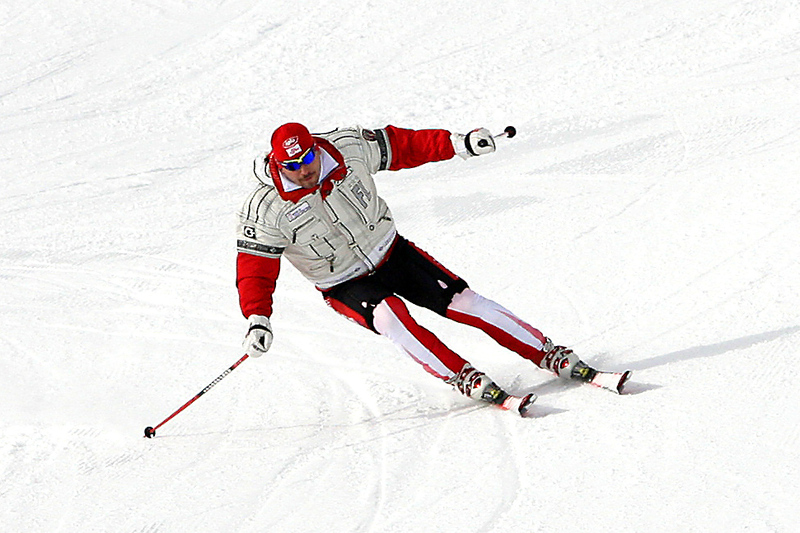 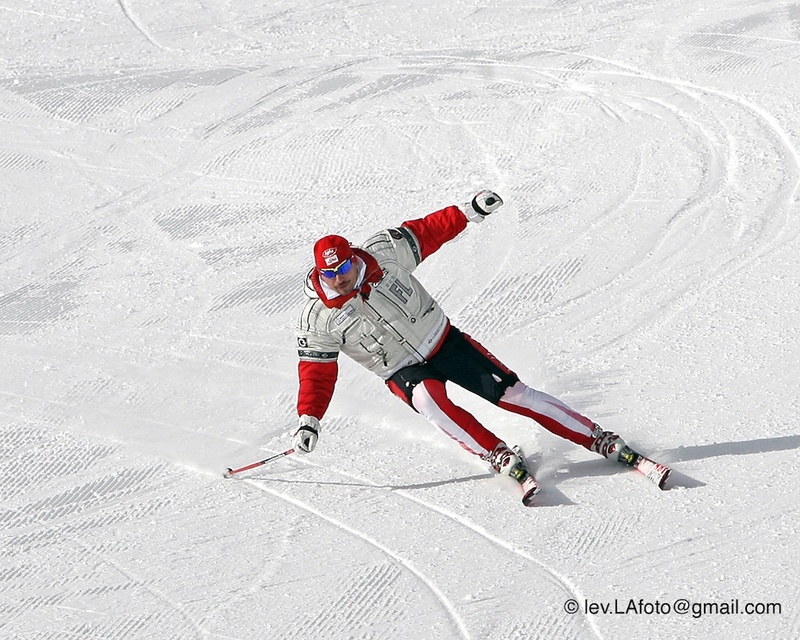 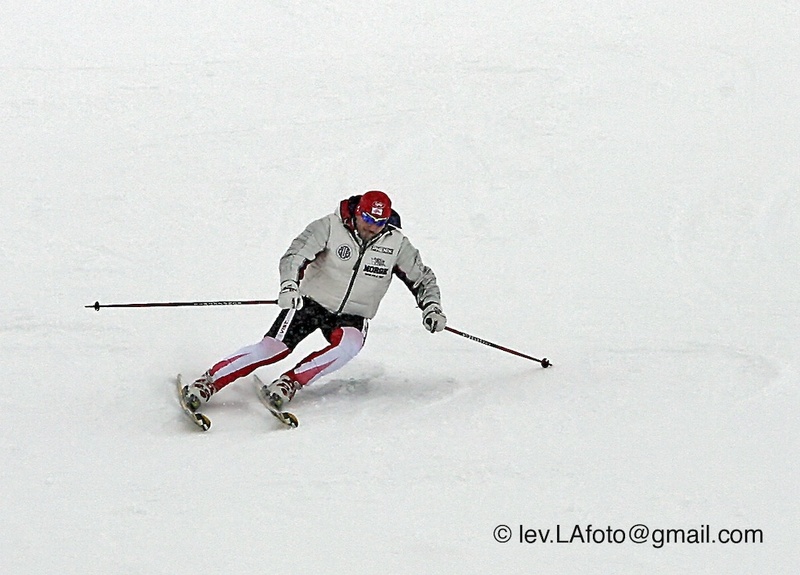 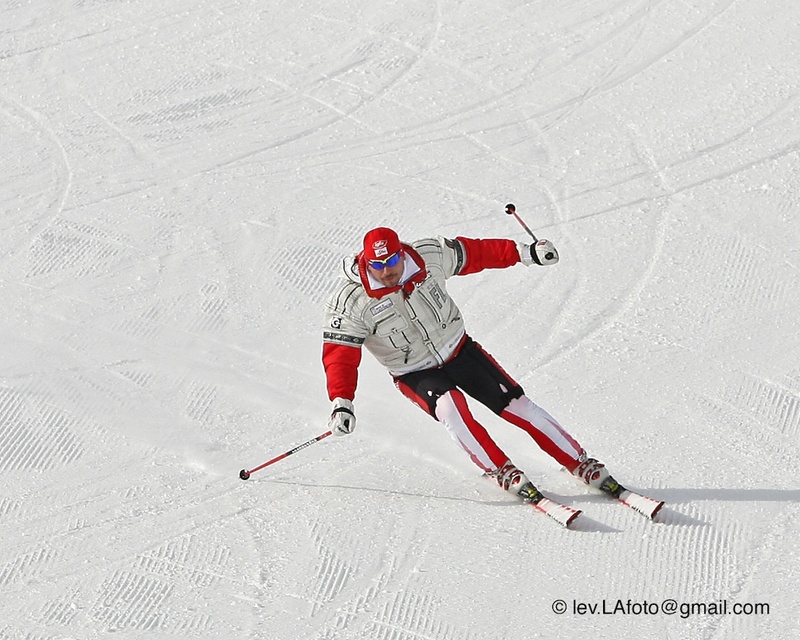 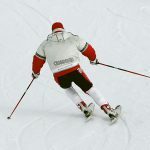 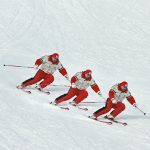 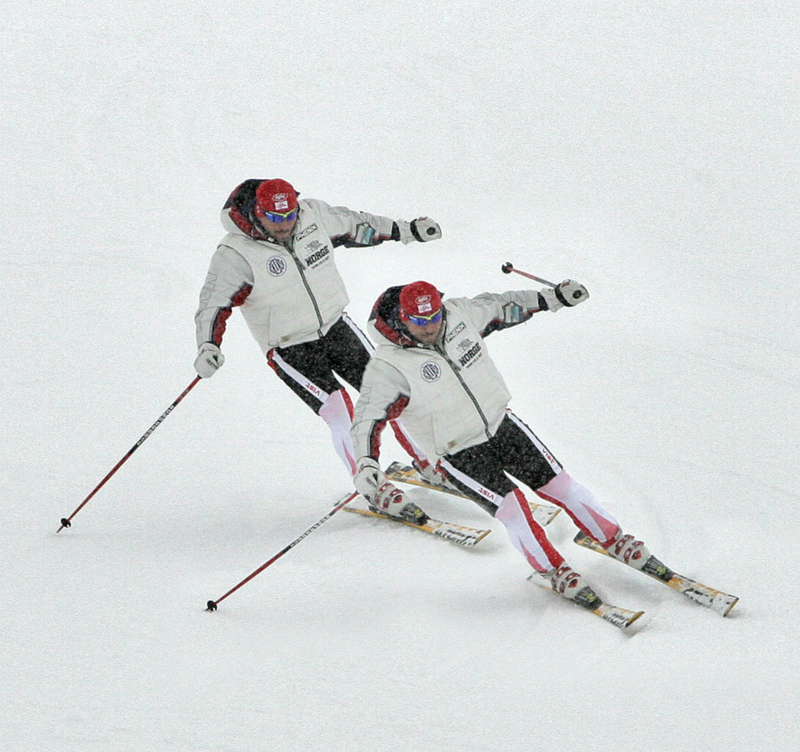 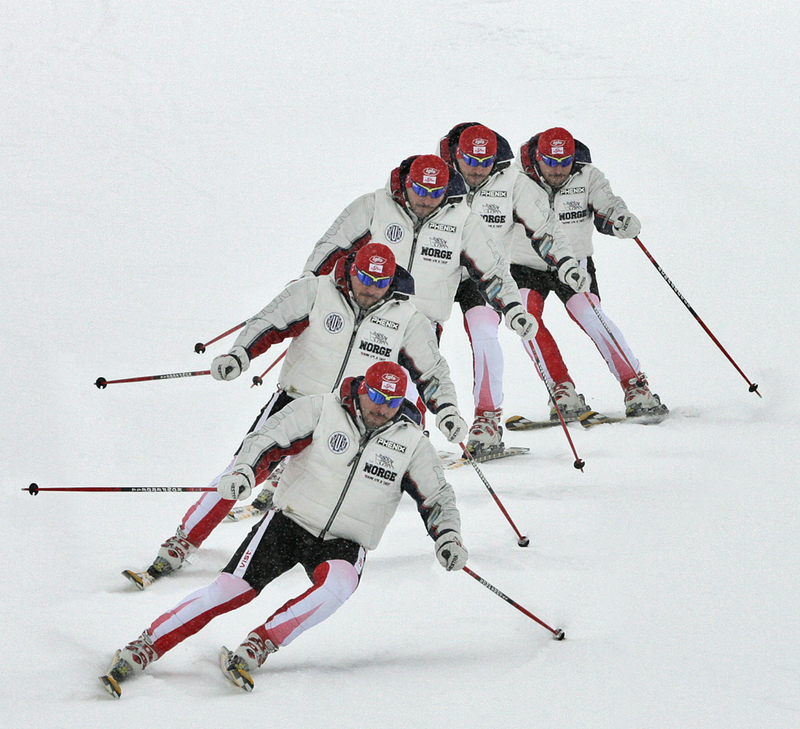 All demonstrations are performed on race stock FIS legal skis: GS -190cm, <27m, and SL — 165 cm. 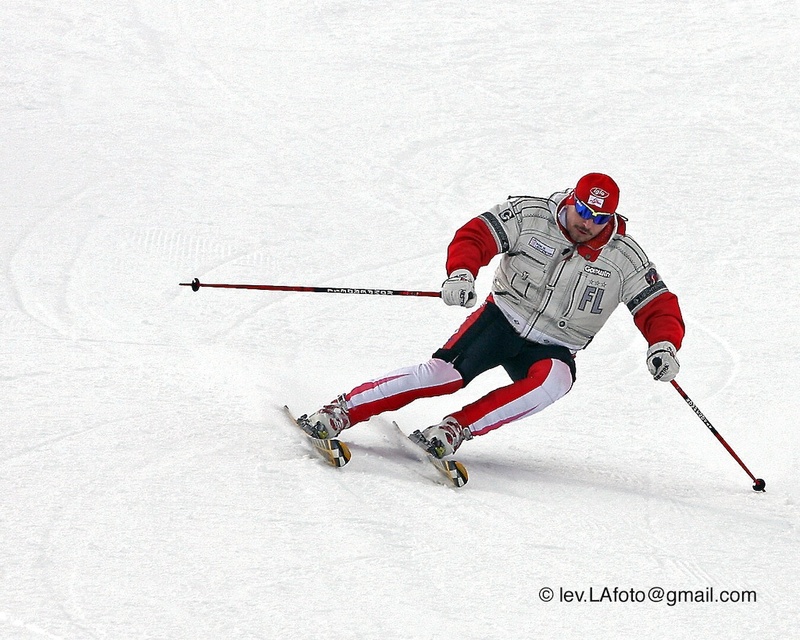 I would like to express my gratitude to my friend Lev Akhsanov, an outstanding photographer, for all these pictures and to Galina Akhsanov for making the photo montages.